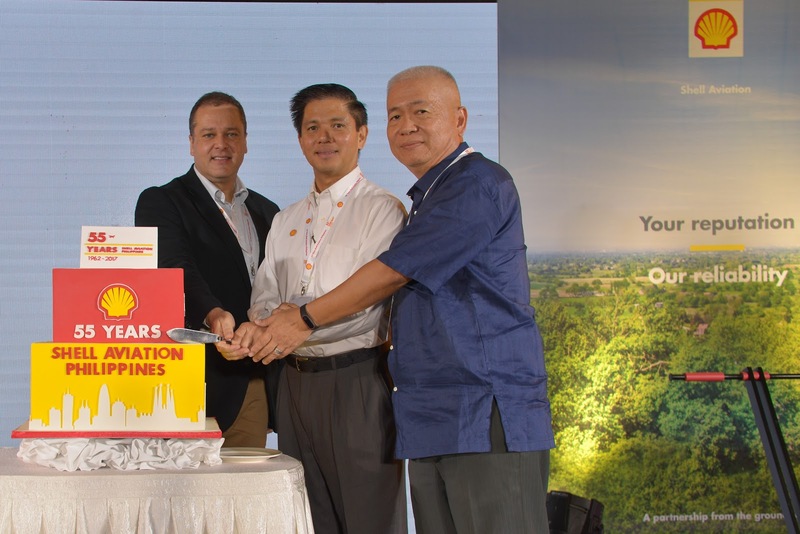 Aviation Updates Philippines - Shell Aviation today announces the expansion of its global refuelling network to Mactan-Cebu International Airport (CEB), the second busiest in the Philippines. Shell Aviation now supplies jet fuel at three of the most important international airports in the country – Manila (MNL), Clark (CRK) and Cebu (CEB). CELEBRATING 55 YEARS IN THE PHILIPPINES. From left to right: Richard Pereira, GM of Asia Pacific Middle East, Shell Aviation; Cesar Romero, President and CEO of Pilipinas Shell Petroleum Corporation; Albert Tiu, VP of Petrologistics Corporation. Around 8.8 million domestic and international passengers travelled through CEB in 2016, an increase of 13% over 2015. Shell Aviation customers at CEB will benefit from fuel supply security backed by Shell’s integrated supply chain, with 17 refineries and 10 trading hubs around the world; product quality assurance via Shell’s Fuel Quality Assurance System; professional account management providing a single focal point for fuel requirements across Shell’s global network; and access to local expertise by leveraging Shell's aviation experience in the Philippines. Shell Aviation has been active in the Philippines for 55 years, supporting the aviation industry within the country as well as serving a variety of airlines in the Philippines through its global network.